Recently Jillian @ To Begin with I Read Jane Eyre created a post about her own personal literary canon and requested that I do the same. The goal is to compose a list of books that have greatly influenced your life, that you consider to be your favorite books, etc. I think this is a really interesting idea because there are so many different variables involved. On what criteria do you decide which books to include? Do you focus solely on books that have had a positive influence on your life? How long should your list be? Canon formation in general is really fascinating, but that’s a topic for another day. I don’t think this one needs much of an explanation. I first started this series when I was in second grade and in a way I don’t think I’ll ever be truly done with it completely. Even though I’ve certainly “finished” the series in the sense that I’ve read all seven books, I know that I’ll keep rereading it well into the future. Again, this one doesn’t require much of an explanation. I’ve reread these books more times than I can possibly count and they played a huge role in shaping my reading tastes and interests in middle school. They’re books I return to again and again for comfort, reassurance, and entertainment alike. Interestingly, this book’s influence comes from the context in which I first read it: a lunchtime book club in seventh grade. Through avidly reading and following this series’ six books I met one of my best friends, actually met Michael Grant in person at a book-signing, and realized how social reading could be. 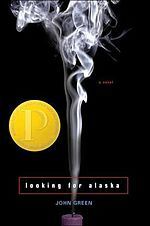 In reality, this is more of a placeholder for all of John Green’s books, though Looking for Alaska is probably my favorite. As with Gone, the context surrounding these books has been just as influential in my life (if not more so) than the content of the books themselves. John and Hank Green have shaped my life in countless ways at a time when I needed it most (I’m looking at you, tumultuous middle school years). 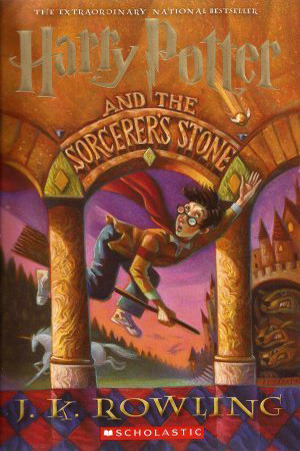 Reading this classic novel in my high school American literature class opened my eyes to the depth and breadth that symbolism could add to books. Though this symbolism is pretty obvious (colors, the green light, East and West Egg, the eyes, etc.) it nevertheless made me realize how interesting and fun analyzing literature with a critical eye could be. Ah, Jane Eyre. I adore this novel not for the romance, writing, or plot (though all aspects of this book are fantastic) but primarily for the character of Jane herself. She is strong, independent, witty, kind, determined, and resilient– everything that I aspire to be. I’ve only read this novel once; however, it has lingered in my mind with more clarity than most other books I’ve read since then. I can’t wait to read it again soon! 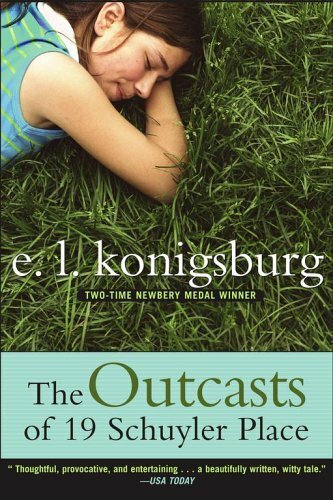 I ADORED this book when I was assigned to read it for my AP English class senior year of high school (much to the annoyance of the majority of my peers, who didn’t share my enthusiasm). I love watching Pip grow over time and overcome all of the obstacles he has to face. Dickens’ writing is witty and captivating, and the plot twist at the end had me gasping in surprise. This is another one that I definitely have to reread in the near future! 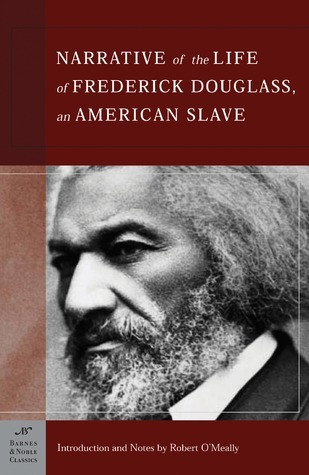 Since reading this autobiography in my Intro to Literature class during my first semester of college I have written at least three papers about it and researched the critical reception of Douglass’ works in general. Something about Douglass’ life and use of language to transform himself in American society fascinates me like nothing else. I read this for my Cultural Diversity in American Literature class during my second semester of college and have not been able to stop thinking about it since (I’m only slightly exaggerating here). The narrative is constructed brilliantly and I think it’s fascinating how we only ever see Ántonia through the lens of Jim’s narration. Since then I’ve read two of Cather’s other novels and am eagerly looking forward to reading more! There are so many books that I could have included, but I think this is a solid look into the books that have had the greatest influence on me thus far. Thanks so much to Jillian for asking me to make a personal canon! I had such a great time forming this list and thinking about all of the amazing books I’ve had the pleasure of reading over the years. What books would be in your personal canon? What are you thoughts on any of the books that I’ve mentioned? Let me know in the comments section below! 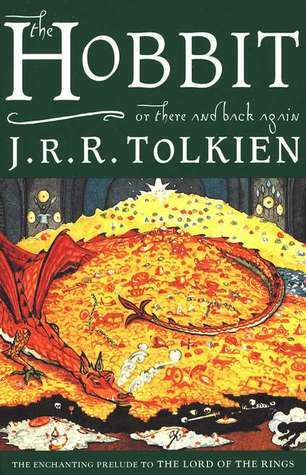 I just read The Hobbit like some weeks ago AND I LOVED IT. I must read LOTR but I ADORED the hobbit, IT WAS AWESOME. And Of course, Harry potter is OBVIOUSLY on there! I studied the causes of the American Civil War at university, and I read some of the Frerick Douglass autobiography so I can understand why you have it on your list. I could probably put one of the books I studied on my list as there are so many interesting books about that period in history. Dark Materials is a great one! I loved that series when I read it years ago and I still find myself thinking about it sometimes… the entire premise of those books is so interesting! I really need to read Shadow of the Wind soon because I’ve heard such amazing things about it. The Book of Dust is out this year and I think they are making a TV series out of the books that is out later this year, early next! I’ve read a lot of these books. Harry Potter would definitely be on my list. Most of Margaret Atwood’s books would be, too, especially The Handmaid’s Tale. I definitely need to read more books by Margaret Atwood. The only one I’ve read is The Handmaid’s Tale, but I absolutely loved it. WE SHARE DOUGLASS AND BRONTE!! I completely agree with what you say about Jane: that’s why I love that book, too. Jane, through and through. If you haven’t read it, I recommend Villette by Charlotte Bronte. It’s not happy like Jane Eyre, but I think it’s beautifully done. Also, that you’ve done so much research on Douglass really impresses me. I love the theme that writing and reading has in his life — that it completely transformed him. And that without it, he was a prisoner, and with it, he found the strength and courage to fight, and communicate eloquently. Just completely awe-inspiring, to me. I’d love to shake his hand. 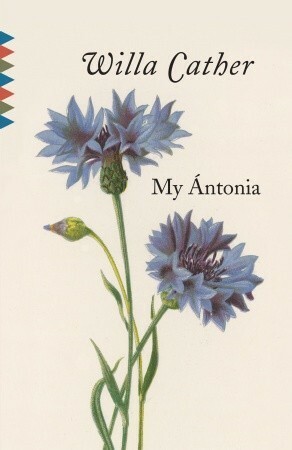 Oh my goodness, PLEASE tell me your thoughts on My Antonia once you read it. I would love to know what you think! That’s an awesome idea for a video! It is difficult to pick books for a list like that, though. I would probably just list a bunch of books and then narrow it down from there until I got to a smaller number. I love this idea! You have inspired me to do my own list! New item on my to do list: Think about my personal literary canon and post on it…. Obviously Harry Potter is on this list! And after reading TFIOS and thinking it was “okay”, I’m not sure if I’ll be reading John Green’s other books… But I heard that Looking for Alaska was a really good one! What a wonderful idea to create a canon for yourself! Isn’t it incredible how the books you read for whatever reason (popularity, school, etc) shape who we are?! Such a great post. Good luck in your studies! Thanks so much!! It really is amazing to think about how much I’ve been influenced and shaped by books over the years. I would be a completely different person without these stories in my life. I loved Great Expectations when I read it in high school, and much like you I was in the minority among my peers, lol. I’ve read it again since then and I still love it! 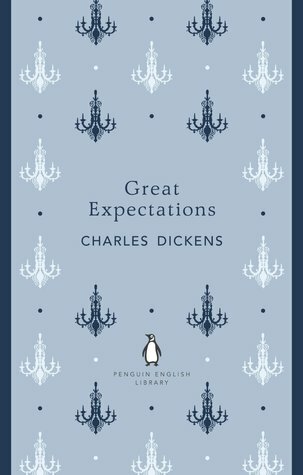 I’m so glad that I’m not the only one who loved Great Expectations when they read it in school ❤ It was such a disappointment to learn that no one else in my class enjoyed reading it because it's a great novel. Thank you!! ❤ John Green's books shaped me so much in middle school– it's strange to think of what kind of reader I would be without them. 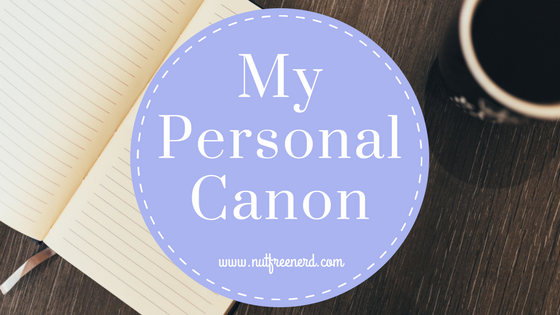 LOVE so many of your books on your personal canon! 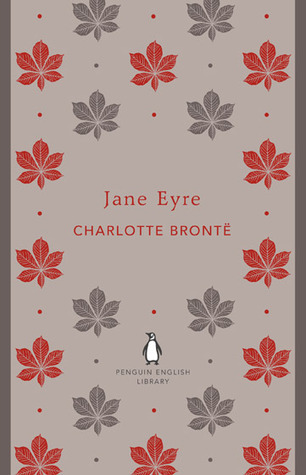 Jane eyre and great expectations are both on mine as well, in addition to Harry Potter – all three are incredibly powerful stories! I’m so glad that we both included Jane Eyre, Great Expectations, and Harry Potter ❤ I love them all for so many different reasons. So many great books here – Harry Potter, Jane Eyre, The Hobbit, LOTR, The Great Gatsby – they’d all be on my list too. 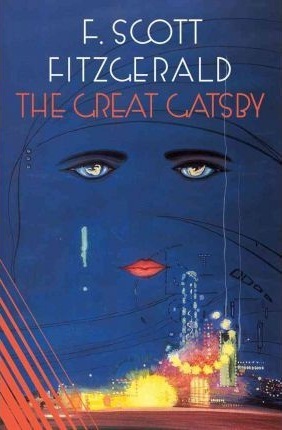 I also remember reading Gatsby in high school and just being blown away by the symbolism and the imagery. 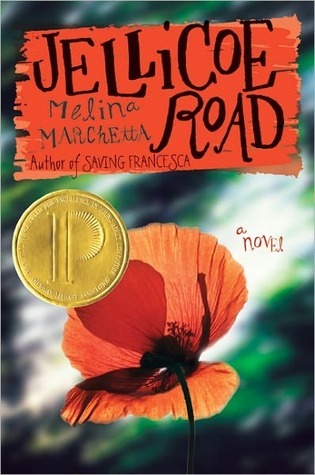 It’s definitely one of the books that made me love studying literature! I’ve only read the first two books of Gone but they were really interesting!